Dr. Derek Yach, a global health expert and anti-smoking advocate for more than 30 years, is the president of the Foundation for a Smoke-Free World. Throughout his career, he has supported and led smoking cessation research and policy development and has been a strong proponent of harm-reduction policies, calling for a greater emphasis on harm reduction as early as 2005. He is also a passionate advocate of health promotion and disease prevention, and is advancing his career’s work at the Foundation for a Smoke-Free World. Tom Harding leads the execution of the President’s strategy and vision for the Foundation. He ensures the operations enable it to achieve its mission of reducing death and disease from smoking. Tom is a senior financial executive with more than 25 years of experience working for major corporations. His diverse financial experience includes debt and equity capital markets, asset management, financial planning and analysis, financial risk management, and cash management. Most recently, Tom was the acting treasurer of Time Warner Cable through its merger period with Charter Communications. In this role, he was responsible for the company’s capital structure, the direction of debt and equity capital markets activity, interest rate risk management and treasury operations. 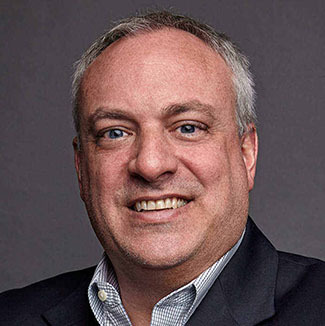 Previously, he held leadership positions in finance at Time Warner, Inc. and Macmillan, Inc.
Tom is based in Connecticut, United States. He graduated from Virginia Tech with a BS in finance. Jim Lutzweiler, a public policy and market development expert, is the vice president of agriculture and livelihoods. He has more than 20 years of experience developing public-private partnerships to reduce food insecurity globally, and spent a decade working and living in West and Central Africa while focused on agriculture program design and implementation, market development and policy formulation. 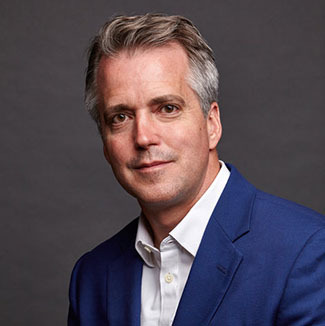 Before joining the Foundation, Jim was senior director of global public policy at PepsiCo where he developed strategies to encourage consumer uptake of healthier food and beverage alternatives. As part of this work, he implemented a shared value partnership business model to promote sales of healthy products by driving positive consumer choice. 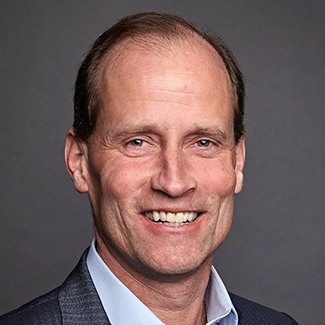 Prior to his position at PepsiCo, Jim served as vice president of AARP Foundation, a U.S.-based nonprofit that provides people age 50 and over with programs and services related to housing, hunger, income and isolation. In this role, he focused on addressing the systemic causes of elderly hunger, devising public-private partnerships with the healthcare and retail grocery sectors designed to increase nutrition and reduce food insecurity among older adults. He was also a founding member of the Root Cause Coalition, a diverse group of hospital systems, nonprofits, and corporate partners dedicated to making hunger a health issue embedded within the social determinants of health. Jim has also served in leadership roles with Joint Aid Management, World Vision and Catholic Relief Services. At Joint Aid Management, he was responsible for oversight of U.S. government grants, corporate and foundation grants, and philanthropic funding, as well as expanding school feeding programs in Ghana and Nigeria. During his time at World Vision, he led the efforts for a unified food advocacy strategy focusing on issues of foreign aid, trade and food aid policy, with an emphasis on policy reform in recipient countries. Jim lived in West and Central Africa while at Catholic Relief Services developing and implementing emergency response food distribution programs, supplemental feeding for vulnerable groups and agricultural recovery. Jim is originally from New Jersey, United States, and has an MA from Duquesne University in policy analysis, as well as a BA in political science and philosophy from Hope College. 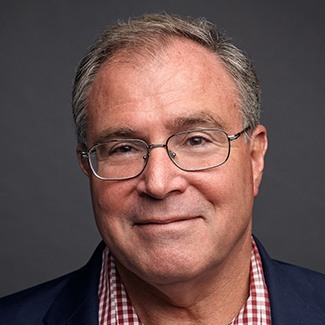 David Janazzo leads the Foundation’s Industry Transformation strategy, which aims to attain transformation of the global tobacco industry and nicotine ecosystem to improve global health by ending smoking in this generation. In this role, David leads the Smoke-Free Index© initiative. He also conducts independent research and data analysis associated with relevant industry issues in support of the Foundation’s objectives. He oversees the financial functions of the Foundation, including financial planning & analysis and accounting. David’s extensive work experience includes positions with Fortune 100 companies. David is a former fundamental stock analyst at Merrill Lynch, where he covered US Telecom Services. On the corporate side, he was senior director in treasury, pension & investments, and financial planning & analysis at Time Warner Cable. He was director of investor relations at Verizon. Earlier in his career, David held technical and management positions at AT&T. 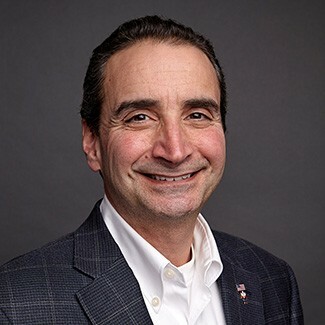 David resides in New Jersey and holds a MBA in Finance from The Wharton School of Business, a Master of Science in Electrical Engineering from Stanford University, and a Bachelor of Science in Electrical Engineering from the University of Connecticut. He is active in his local community through charitable organizations. As Vice President of Grant Management and Development, Dr. Ehsan Latif oversees the Foundation’s global grants program, including management of the entire grant submission and fulfillment process. In this role, he is also responsible for providing resources to researchers and related stakeholders in support of the Foundation’s three pillars of work: Health, Science and Technology, Agriculture and Livelihoods and Industry Transformation. 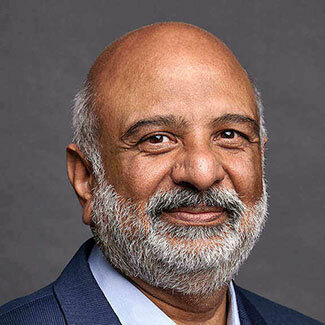 Dr. Latif has more than 20 years of experience managing the development and implementation of cohesive strategies to achieve public health gains by linking global health priorities to the needs on the ground. Previously, he served as senior adviser for non-communicable diseases and director of tobacco control at the International Union Against Tuberculosis and Lung Disease, managing global teams across India, China, Singapore, Mexico, Bangladesh, Philippines, Vietnam, Pakistan, Brazil and Chad. His work entailed providing leadership for planning, organizing and prioritizing focused interventions for tobacco control to ensure delivery of strategic goals through collaboration. In his early career, he was responsible for the development of the National Health Policy for Pakistan and served as a main contributor of the non-communicable diseases debate in the early 2000s. His work has since involved capacity building and provision of grants to governments, civil society organizations, universities and researchers. He recently led and managed US$10M program to support policy development for tobacco control in low- and middle-income countries faced with highest burden of disease caused by tobacco use. Dr. Latif has served on the boards of several public health entities, including The Framework Convention Alliance, the Non-Communicable Disease Alliance, and the Global Smoke Free Partnership. He is also a member of various international groups working on lung health and tobacco control setup under the Framework Convention on Tobacco Control secretariat and the World Health Organization. Dr. Latif is originally from Pakistan and now resides in Scotland. He holds a doctorate in Medicine from Punjab Medical College and a master’s degree in Public Health from the London School of Hygiene and Tropical Medicine. 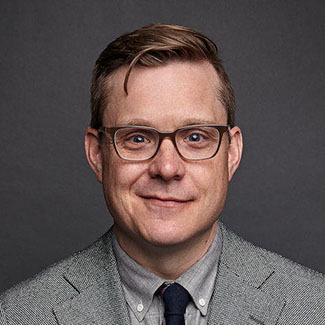 As Vice President of Health, Science and Technology, Dr. Brian Erkkila spearheads the Foundation’s efforts to support actionable research about tobacco, nicotine, cessation, and harm reduction. This involves advancing our research agenda through identification of research gaps and recruiting innovative investigators to address them, strengthening global research capacity where most smokers live, facilitating funding models to drive more effective cessation therapies, and monitoring perceptions around smoking, tobacco harm reduction and nicotine. Prior to joining the Foundation, Dr. Erkkila served for seven years at the FDA Center for Tobacco Products (CTP), where he was instrumental in the development of the tobacco product review process and CTP research priorities, with a particular focus on developing a tobacco product quantitative risk assessment program. As an expert in evaluating scientific data concerning tobacco products and their impact on individuals and populations, Dr. Erkkila was responsible for providing the scientific basis for the development of tobacco policy, guidance, and regulation. A neurobiologist by training, Dr. Erkkila did his post-doc examining hippocampal function and development at the National Institute of Child and Human Development’s (NICHD) Laboratory of Cellular and Synaptic Neurophysiology under the mentorship of Dr. Chris McBain. Dr. Erkkila is based in Washington, DC. He holds a PhD in Neurobiology from the University of Alabama at Birmingham and a BA in Neuroscience from Johns Hopkins University. As Vice President of Communications, Nicole Bradley is responsible for developing and implementing the Foundation’s communications strategies across earned, owned and paid media. In this role, she oversees media relations, social and digital media content, and manages the Foundation’s communications agency partners. A skilled communications professional with more than 15 years of experience, Nicole has developed and managed PR campaigns for Fortune 500 corporations, while also acting as a national communications advisor and spokesperson. 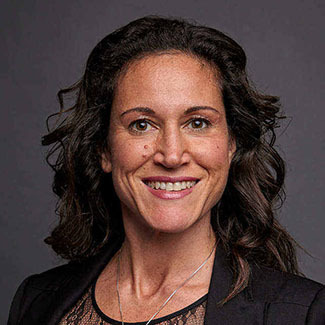 Nicole’s background includes positions at Pepsi, Nickelodeon, VH1 and Edelman, where she was responsible for creating and executing strategic communications plans that supported business goals and drove positive corporate reputation. During her six years at Pepsi, she managed media relations for Pepsi-Cola North America’s marketing campaigns and brands, including its partnerships with the NFL, MLB and MLS. Nicole is based in New York and earned a BA in Communications from Penn State University. 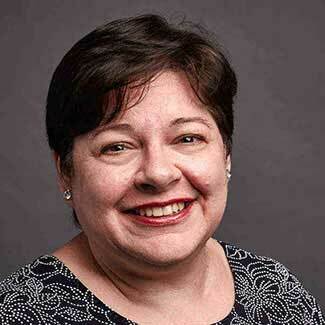 Dianna Bartone is the Senior Research Analyst for Agriculture and Livelihoods. In this role, she conducts data analysis and quantitative research that informs the Foundation’s global strategy to help tobacco farmers transition to alternative livelihoods and crops. Dianna is a skilled quantitative researcher with several years of experience in international nutrition, food security, and agricultural research. 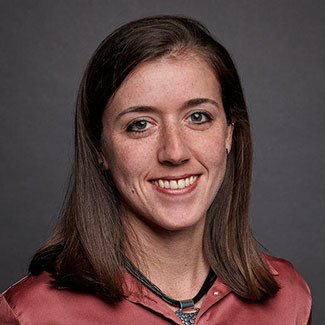 She has worked on projects led by the International Food Policy Research Institute (IFPRI), the Friedman School of Nutrition Science and Policy, Tufts University School of Medicine, World Vision International, and the Jean Mayer USDA Human Nutrition Research Center on Aging. In 2017, Dianna received the Tufts Public Health and Professional Degree Programs Delta Omega Award for demonstration of academic achievement and leadership in public health. She is also a 2015 World Vision International Global Health Fellow, and an Aid for Africa Scholar. Dianna is based in New York. 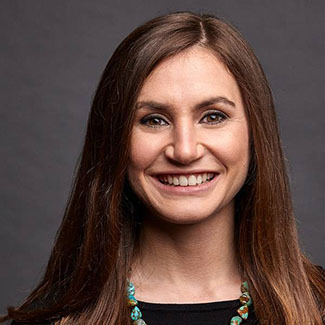 She holds an MS in Food Policy and Applied Economics from the Friedman School of Nutrition Science and Policy at Tufts University, as well as an MPH in Epidemiology/Biostatistics, and in Global Health from the Tufts University School of Medicine. Dianna also holds a BA in Anthropology from the University of Notre Dame. As the Director, Global Scientific Communications, Dr. Benmaamar reviews, analyzes, and disseminates key scientific data that are critical to the success of the Foundation’s research and innovation programs, which are aimed at accelerating smoking cessation and harm reduction. She develops scientific communication strategies and ensures accurate scientific messaging. Prior to joining the Foundation, Dr. Benmaamar was Manager of Global Publications and Scientific Communications, Oncology Business Group, at Eisai Pharmaceuticals. She managed the global communication of the results of clinical trials, and the review process of scientific and medical documents prior to their publication in peer-review journals and their presentation at scientific meetings. Before working at Eisai, Dr. Benmaamar was Senior Researcher at New York University, Langone Medical Center, Radiation Oncology. She managed pancreatic cancer research. She helped design innovative research projects to better understand the various molecular, immunological, and metabolic aspects of pancreatic cancer. In earlier years, Dr. Benmaamar was Associate Director of Medical Communications at medical communication agencies, partnering with pharmaceuticals to develop scientific content for presentations at conferences and advisory boards, and for patient and healthcare provider websites. In addition to her scientific experience, Dr. Benmaamar worked at the United Nations as a Conference Manager. She facilitated and coordinated a wide range of conferences such as those of the World Health Organization (WHO), United Nations Children’s Fund (UNICEF), Human Rights Committee, General Assembly, Indigenous Peoples’ Forum, and Conference of the Parties (COP 20) to the United Nations Framework Convention on Climate Change. She speaks four of the six United Nations official languages (English, French, Arabic, and Spanish), as well as Italian. Dr. Benmaamar is a seasoned freelance writer for The Lancet Oncology, mainly communicating groundbreaking results of clinical trials on several types of cancer. She holds a PhD in Pharmacology from Univerisité Louis Pasteur, Strasbourg, France. As Senior Program Analyst for the Agriculture and Economic Diversification Programs team, Melissa Benn is responsible for developing and implementing the Agricultural Transformation Initiative’s procurement processes. 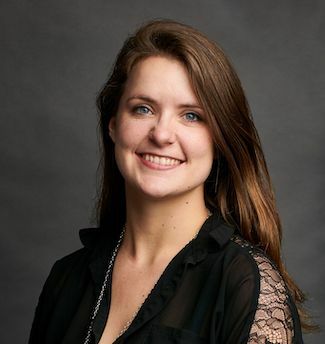 She assists in designing and writing solicitation and procurement documents, while also establishing procedures that facilitate grant disbursements, developing strategic partnerships, and assisting in strategic development. Melissa is skilled at managing international agricultural development programs. Her work in this area has included supporting operations, ensuring compliance, backstopping overseas projects, contributing to new business development, forging relationships, and overseeing knowledge retention. 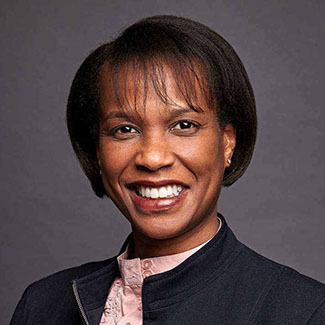 Prior to joining the Foundation, she worked at Chemonics International Inc. in Washington, DC as Manager of the Agriculture and Food Security Practice, and on the Markets and Trade team for the Famine Early Warning Systems Network (FEWS NET). Melissa’s earlier role at Chemonics International Inc. was as a Senior Associate, specializing in project management and support to project offices in East Africa, including day-to-day support of offices in Ethiopia and Sudan. Melissa currently resides in Virginia and has a BA in Food Studies and Environmental Policy from Duke University, Durham, North Carolina. 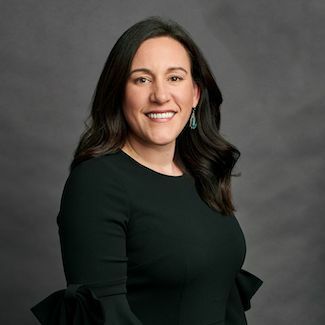 As the Chief of Staff, Amy Curry supports and manages the Office of the President of the Foundation for a Smoke-Free World, and serves as liaison to the Board of Directors. In this role, she provides oversight and coordination of strategic initiatives and special projects that help meet the Foundation’s goals. She also oversees daily operations and coordinates essential organization activities. Amy has extensive experience supporting high-level executives in investment banking and private equity. She has held roles at Albemarle Corporation, Robbins Research International, Vista Equity Partners, Macquarie Capital, and The Carlyle Group. Prior to joining the Foundation, Amy served as Chief of Staff to a celebrity in the entertainment industry. She also established and ran Westlake Concierge, a personal assistance service company, from 2006 to 2009. The company offered a full suite of services to individuals and corporate executives, including event management, international travel planning and gift shopping. Amy is based in New York City. She studied Interior Design at Abilene Christian University, Abilene, Texas. As Director of Health Science and Technology, Dr. Charles A. Gardner manages the Foundation’s investments in innovation to catalyze and accelerate the development of higher-efficacy smoking cessation products and services, and to ensure that options to quit and reduce harm are accessible in low- and middle-income countries. Dr. Gardner has over two decades of experience creating and managing international health R&D programs and partnerships in Africa, Asia, Latin America and the Middle East. He has served as the Program Officer for Africa and the Middle East at the US National Institutes of Health; Science Attaché at the US Embassy in India; Associate Director for Health Equity in the Rockefeller Foundation; Senior Advisor on Research Strategy to the WHO; and Director of Child Health in the UBS Optimus Foundation in Zurich, Switzerland. A seasoned leader in global health innovation, Dr. Gardner has served on the boards of the University of Michigan’s Center for Global Health, the Rockefeller Foundation’s pioneering impact investment fund (ProVenEx), and international non-profits. He currently serves on the board of a non-profit that promotes an innovative approach to water, sanitation and hygiene (WASH) training in low-income countries. After completing his PhD, Dr. Gardner was awarded a Congressional Science Fellowship to advise the US Congress on health and science policy issues. He has also taught healthcare ethics as an Associate Professor at Howard University in Washington, D.C., and has over 90 publications. Dr. Gardner is based in New York City. He holds a PhD in Developmental Neurobiology from the University of Michigan Medical School. Chris Gray is a Manager of Agricultural Science, Technology, and Innovation. In this role, he is responsible for a portfolio of grants and research programs that inform the Foundation’s global strategy to transform agricultural value chains in Malawi and other tobacco-dependent countries. Chris is a business strategist and economist specializing in the inclusive design of social programs in developing countries. As a researcher, Chris’s experience has spanned industries including agriculture, finance, education, tax policy, and nutrition. 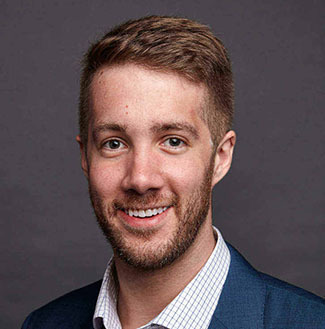 Prior to joining the Foundation, Chris worked at the International Food Policy Research Institute, where he collaborated on several projects to promote market-led solutions to development challenges. Chris led market research on agricultural input markets in Myanmar, population nutrition studies in Bangladesh and Burkina Faso, and data accessibility initiatives in Bangladesh, Zambia, and Ghana. 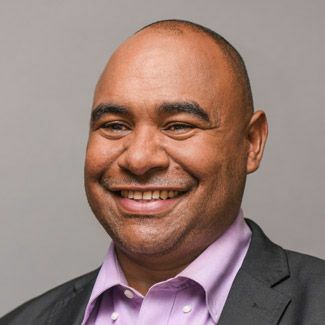 Earlier in his career, Chris was a financial analyst with Capital One, where he was responsible for designing and evaluating credit products for small business owners. 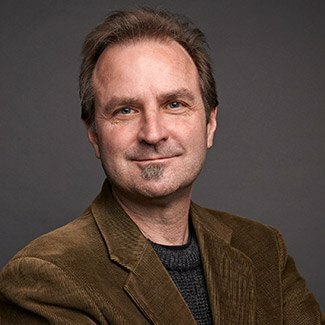 Chris has consulted on projects with the World Bank, Mercy Corps, Innovations for Poverty Action, and the Georgetown University Initiative on Innovation, Development and Evaluation. Chris is based in Washington, D.C. He holds a Master of International Development Policy from the McCourt School of Public Policy at Georgetown University, and a BS in Business Administration from the University of North Carolina at Chapel Hill. As the Director of Agriculture and Economic Diversification Programs, Rob Henning spearheads the Foundation’s work to help prepare smallholder tobacco farmers for a smoke-free future by designing, funding, and managing programs that will drive diversified and inclusive economic growth in tobacco-dependent economies. Rob has 20 years of experience at all levels of emerging economies with expertise in promoting investment and economic growth in developing countries. He has worked at all levels of frontier markets from the grassroots to the boardroom to help create prosperity with a focus on entrepreneurship, value chain strategy development, frontier market investing and market research. Prior to joining the Foundation, Rob was a Director at Chemonics International where he developed and set the strategy for new business efforts in the agricultural sector for a range of clients including USAID, the Bill and Melinda Gates Foundation, and corporate clients. 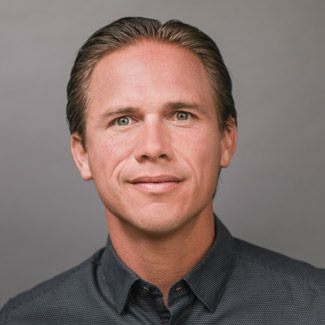 Earlier in his career, Rob co-founded and led ESPartners, an advisory and investment firm focused on entrepreneurship, private sector development, and SME investment in developing countries. Rob also worked at OTF Group, where he led long-term competitiveness initiatives in multiple fragile economies such as Rwanda, Afghanistan, and Haiti. His first foray into international development was as a U.S. Peace Corps Volunteer in Benin and Guinea-Conakry, West Africa where he was small enterprise development advisor. Rob is based in Washington, DC. He has an MBA from the McDonough School of Business at Georgetown University and a BA from the University of Vermont. Rob speaks fluent French. As the Director of Meetings and Global Operations, Claire Hohlt oversees the planning and execution of the Foundation’s special events and meetings worldwide. Her responsibilities include managing budgets, negotiating vendor contracts, as well as securing and cultivating relationships with the Foundation’s key partners. An experienced event producer, Claire launched her own company, Evoke Mgmt, in 2017. She has created and supervised a wide range of corporate programs, seminars, product launches and festivals. Previously, Claire was Senior Manager of Events and Client Relations at Time Out North America, where she managed special projects and national events, while overseeing a $2 million budget. Claire also collaborated with editorial and creative on design for the website and various communications materials. Earlier in her career, Claire held a communications position at Skanska USA Inc., and worked in luxury menswear for Ermenegildo Zegna and Brioni. Claire is based in New York and holds a BS from Purdue University. As Manager of the grant database, Kim Hook is responsible for developing and maintaining the Foundation’s grant records and reports. In this role, Kim engages with stakeholders to maintain an active community, creates database solutions, and oversees the communications with grantees. Kim has extensive experience designing tailored software for non-profit organizations, creating streamlined platforms for seamless work processes and grant making activities. Her expertise includes rolling out new modules and system set-up reviews, designing application forms, developing complex templates, producing customized reports, and providing tailored training. Prior to joining the Foundation, Kim worked with a number of global clients, including Barclays Bank, BBC Children in Need, The Arts Council of Wales, London Councils, The Cripplegate Foundation, and other organizations based in Brussels, Amsterdam, Ireland and Switzerland. Earlier in her career, Kim spent several years as a Client Relations Manager and Computer Consultant at Buzzacott, an accounting firm in the U.K.
Kim is based in London. 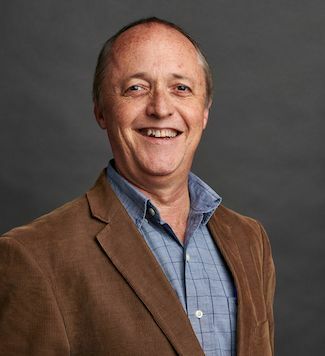 Dr. Michael Johnson is a Director in the Agriculture and Livelihoods group, managing the Foundation’s agricultural science, technology, and innovation research initiatives. The focus of his work is to establish and implement the Foundation’s global strategy to transform agricultural value chains in developing countries. Dr. Johnson has extensive experience in the microeconomics of agricultural intensification and transformation, specifically the ways that technology can impact economic growth in the agricultural sector. Throughout his career, Dr. Johnson has focused on the continent of Africa, including its agricultural policies. As the Director of Research at the Food and Nutrition Security Unit of CARE International, he managed a research team in support of programming and policy advocacy needs. Earlier in his career, Dr. Johnson served as a Research Fellow at the International Food Policy Research Institute in Washington, DC, where he led several large research programs and initiatives for African agricultural development. He also served 2 years at the US Agency for International Development under a fellowship program with the American Association for the Advancement of Science. Dr. Johnson is based in Washington, DC. He holds a PhD in Agricultural Economics from Purdue University and a MS in Business Economics from Georgia State University. As Manager, Agriculture and Economic Diversification Programs, Rizvaan Khan supervises the Agricultural Transformation Initiative’s program development and operations. He is responsible for securing internal and external partners to design, implement, and manage grant and investment programs that provide income diversification opportunities for smallholder farmers in Malawi. Rizvaan has more than 18 years of commercial and developmental experience in the agriculture and horticulture sectors. He has spent much of his career in Africa, working in Malawi, Mozambique, Kenya, South Africa, Tanzania, Zambia, and Zimbabwe. In his previous positions, Rizvaan supported the development and funding of agriculture-based commercial out-grower schemes in Malawi and promoted business linkages of commercial farmers to markets. He also served as a Business Associate for AgDevCo, where he oversaw general program and investment operations, scoping potential investments that were applicable to country portfolios. Earlier in his career, Rizvaan was a Senior Business Advisor for TechnoServe Inc., where he developed and advised horticulture and agriculture development initiatives. Rizvaan also oversaw business management and development for the USAID-funded EMPRENDA (Empowering Private Enterprise in the Development of Agriculture) program that developed horticulture activities in the Beira Corridor in Mozambique. Rizvaan is based in Malawi and is fluent in Portuguese, Chichewa, and English. He has a Higher National Diploma in Horticulture Studies from Hadlow College, Tonbridge, United Kingdom. As Director of Social and Digital Media, Lourdes Liz creates and implements the Foundation’s integrated marketing strategies on digital and social media platforms. Lourdes is a seasoned marketing executive with expertise in brand marketing, mission communications, donor development and content creation. She has been a member of senior management, has led and managed teams, strategic partnerships as well as operating budgets. Throughout her career she has been a member of the following global retail, and entertainment companies: Macy’s, Style Network, HBO, Warner Bros Animation, MTV Networks, as well as small startups (e.g. Fútbol Mundial and nonprofit organizations) the United Nations and the Leukemia & Lymphoma Society. Lourdes resides in New York City and holds a B.A. in International Relations and Spanish Literature from Colgate University, and an MBA from J.L. Kellogg Graduate School of Management, Northwestern University. As Vice President of Shared Value Initiatives, Heather Majewski leads the Foundation for a Smoke-Free World’s presidential initiatives for reducing tobacco harm. This includes convening non-traditional collaborators who have the ability to improve public health, such as the global insurance industry through shared value models. Heather has more than 20 years of experience in the insurance industry, including managing and transforming health and wellness programs. 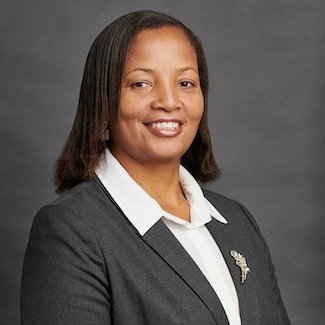 Before joining the Foundation, she was the Assistant Vice President and Head of Wellness Innovation for John Hancock Insurance, where she was instrumental in the development and launch of the John Hancock Vitality insurance solution that rewards people for making healthy choices, such as quitting smoking. She was also responsible for identifying growth opportunities for John Hancock through collaboration with academia and corporate partners. 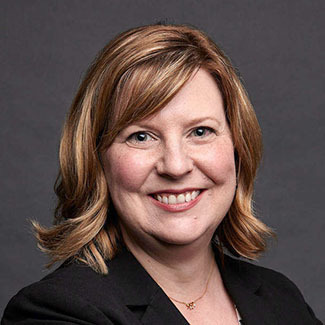 Heather held strategic actuarial positions at John Hancock that were focused on the long-term care industry and improving the quality of end-of-life years. She also held various leadership and actuarial roles at Swiss Re North America and The Hartford, two global insurance companies. Heather is based in Connecticut. She has a BS in Actuarial Science and an MS in Mathematics from the University of Connecticut. Stellah Mutoni is a Manager, Agriculture, and Economic Diversification Programs. In this role, she oversees the Agricultural Transformation Initiative’s program development and operations. Based in Malawi, she is responsible for securing internal and external partners to design, implement, and manage grant and investment programs that provide income diversification opportunities for smallholder farmers. 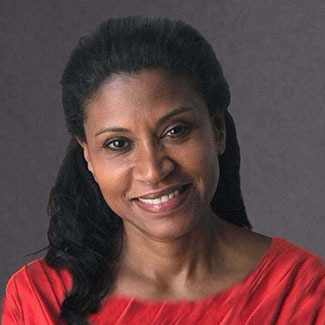 Stellah is a finance professional with extensive experience in risk management, impact fund management, microfinance, and small and medium enterprises investing in North America and Africa. In her previous roles, Stellah has contributed to creating economic opportunities for excluded segments, predominantly in agriculture, applying both quantitative and qualitative analysis to ensure resources are directed into investments that optimize transformational impact. 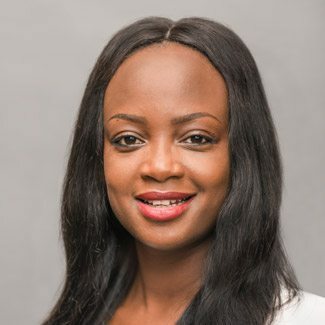 Previously, Stellah served as Senior Associate Financial Standards Manager for Export Development Canada’s Risk Management team, where she was responsible for obligor and sovereign risk analysis to generate pre-deal risk ratings and perform ongoing covenant monitoring. Stellah has also worked as a Consulting Grants Officer for the Malawi Innovation Challenge Fund, where she analyzed financial and social impact, pre- and post-disbursement. Additionally, she was a Co-Founder of GreenRoot Finance Limited, a microfinancing company that offered credit to low-income employees and women entrepreneurs using alternative means of collateral or structuring to reduce risk to a commercially viable level. Stellah is fluent in French and has a BS in Commerce with Option in Finance from the University of Ottawa, Canada. As the Country Director for Malawi, Dr. Candida Nakhumwa manages the Agricultural Transformation Initiative activities in the country. She works closely with smallholder farmer organizations and agricultural cooperatives to identify and develop structured value chains that will promote transformation and inclusive growth for Malawian farmers. Additionally, she is responsible for management of strategic partnerships with government and private sector development partners and civil society in Malawi’s agriculture sector. Dr. Nakhumwa has extensive experience in agricultural marketing and agribusiness, and has collaborated with government and key stakeholders to establish agriculture, trade, and finance policies. She has spent most of her career working on the development of farmers and farming organizations in Malawi, including managing contract farming initiatives, value chain financing for farmers, and connections to input and output markets. Most recently, Dr. Nakhumwa served as Director of Research, Policy, and Partnerships at the Farmers Union of Malawi, where she coordinated research, policy engagement, and strategic partnerships; evaluation and communication; knowledge systems; and institutional planning to support the organization’s mission and purpose. Earlier in her career, Dr. Nakhumwa worked for the National Smallholder Farmers Association as a Monitoring, Evaluation, and Communications Manager. Additionally, she was an Economist for the International Fertilizer Development Centre in Lilongwe, Malawi’s capital. Dr. Nakhumwa has conducted extensive research and consulting work in the areas of smallholder market access for farmers, agricultural water management, Malawi’s legume and dairy industry, and horticultural development. Dr. Nakhumwa currently sits on the board of the NICO Life Insurance Company, NICO Pensions, and Bunda Farm Limited and is active in several other government-led technical working groups, including the Malawi Partnership for Aflatoxin Control Technical Working Research and Technology Dissemination Technical Working Group. Dr. Nakhumwa holds a PhD in agricultural economics from the University of Greenwich, UK. She also earned her MS and BS degrees in Agricultural Economics and Agriculture, respectively, from the University of Malawi, Bunda College of Agriculture. Karen Newman is the Senior Executive Assistant to the VP of Agriculture and Livelihoods. In this role, she provides administrative support to the Agriculture team by managing financial activities, international travel, schedules and facility operations at the Foundation’s Washington, D.C. office. Karen’s extensive non-profit work experience includes supporting C-level executives, spearheading business process analysis, and providing software application support. Prior to joining the Foundation, Karen served for 15 years at The Henry M. Jackson Foundation for the Advancement of Military Medicine (HJF), most recently as Executive Assistant to the CEO, a retired two-star army general. She was the CEO’s primary point of contact for internal and external constituencies, ensuring all engagements met mutual goals. Earlier in her career at HJF, Karen coordinated the first phase of a company-wide records and information management initiative, increased efficiencies in workflows, developed training guides, ensured best practices were followed and generated support for new procedures. Karen is based in Washington, D.C. She studied Cell, Molecular Biology and Genetics at the University of Maryland at College Park. As Financial Assistant and Office Manager, Linda Ruff supports the Foundation’s CFO, managing accounts payable, expenses and international travel for the staff. She also oversees facility operations, including IT and vendor partnerships. Linda is an IT and facility management professional with expertise in accounting, developing operational procedures, as well as various computer platforms. Prior to joining the Foundation, she held operational management positions at Precision IT Group and Trident Global, respectively. In both roles, she was responsible for vendor relations, accounts payable and overseeing all facility functions. Earlier in her career, Linda spent several years at Ramp Up Technology, holding a number of positions. While in her final role as the company’s Manager of Operations, she revamped the client ticketing database, created effective accounting procedures, and managed client office expansions. Linda is based in New York and is fluent in Swedish. She holds a BBA in International Business from Berkeley College, White Plains, N.Y.
As a Research Manager for Agriculture and Livelihoods, Romita conducts research and analysis that informs the Foundation’s strategy to help smallholder tobacco farmers transition to alternative livelihoods in tobacco-dependent economies, with an initial emphasis on sub-Saharan Africa. 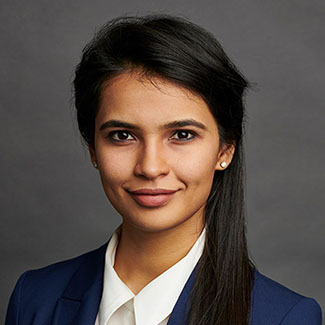 Romita’s experience in global risk analysis and policy development includes roles at public and private organizations in Singapore, India, and New York. 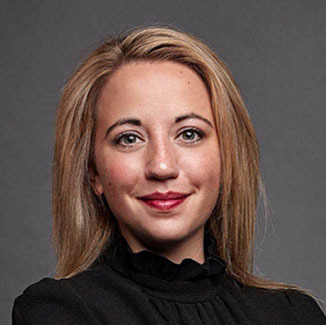 Prior to joining the Foundation, she served as a Senior Analyst at Control Risks where she developed customized in-region advisory services and mitigation strategies for global corporations, international institutions, and government agencies, with a focus on emerging markets in South and Southeast Asia. 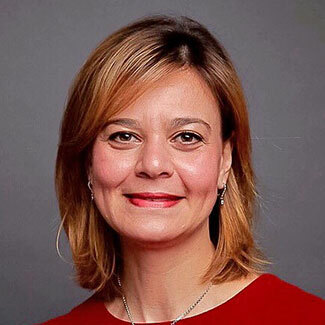 While serving as a contributor to The Economist Intelligence Unit, Romita assisted with the delivery of in-depth research reports and country risk analyses for the company’s consulting clients and subscribers. Earlier in her career, Romita worked for the Singapore government, the United Nations Association of Singapore, and General Electric. Romita is based in New York. She obtained her Master of Science in South Asian Studies from the University of Oxford and a Bachelor of Arts in Political Science with Honors from the National University of Singapore. Romita is fluent in several South Asian languages, including Hindi and Bengali. As the Senior Research Analyst for Ethics and Human Rights, Alexandra (Allie) Solomon is responsible for shaping and managing the Foundation’s research on the ethical and human rights challenges in global tobacco control practices, policies, and scientific research. She is primarily focused on analyzing tobacco production and use, smoking cessation, and harm reduction from a gender perspective. Allie is an experienced researcher, specializing in advocacy at the intersection of human rights, gender, and media. Prior to joining the Foundation, she successfully implemented international projects for a number of organizations, including the U.S. Peace Corps in Azerbaijan, Beilink Business Consultancy in Israel, Transparency International in Ghana and Zimbabwe, and the Natural Resource Governance Institute in New York. Earlier in her career, Allie held international media reporting, insights, and marketing roles. 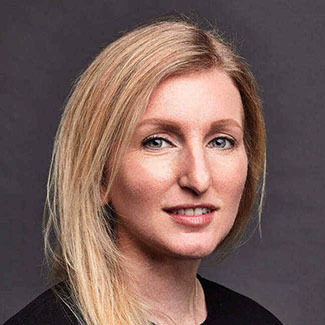 She worked as a human rights reporter in Berlin, a consultant in Data and Audience Insights at The New York Times, and a content strategist for a New York-based digital media marketing agency. Allie is based in New York. She earned her Master of International Affairs degree at Columbia University’s School of International and Public Affairs, concentrating in human rights and specializing in gender and public policy. She also holds a B.S. in Psychology from Louisiana State University. 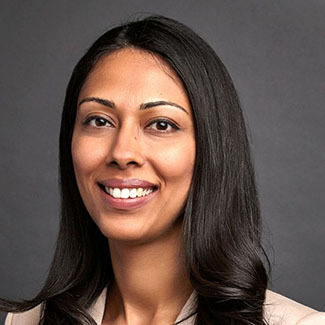 As Manager of Strategic Partnerships, Saisha Srivastava leads the development of the Foundation’s Asia strategy, with an early focus on China and India. She is responsible for creating a framework for a high-level, country approach that includes engaging stakeholders, mapping the political and economic landscape, and managing cross-functional teams within the Foundation to commission data and analytics that inform our strategy. Saisha has successfully developed and managed projects while holding various roles in operations, strategy and marketing, finance, and financial inclusion research. Prior to joining the Foundation, she worked at the financial advisory firm Z-Ben Advisors in Shanghai, China, helping Fortune 100 companies understand local investment dynamics and capitalize on the Greater China market. Saisha had previously worked for Endeavor’s Fintech division in New York, where she created a benchmark project to pitch potential startups in emerging Asian markets. Saisha is an experienced entrepreneur. She gave a TEDx talk in 2015 that has garnered half a million views online; founded the educational start-up 20 Days of Rain in 2013, which brought dance classes to 25 blind schools across 7 cities in India; and created Hatch, a peer-to-peer microlending fintech startup, in 2016. While developing Hatch, Saisha worked closely under Dr. Muhammad Yunus, a Nobel Prize Laureate, at Grameen Bank in Dhaka, Bangladesh. Saisha also has diverse research experience, having conducted independent field research projects in rural India, China, and Bangladesh. In her research role for the Centre for Studies in International Relations and Development in Kolkata, India during her undergraduate career, she was sponsored by the Ministry of External Affairs, India, to accompany the Indian delegation to China for official negotiations on the Bangladesh–China–India–Myanmar (BCIM) trade corridor. Saisha is based in New York and is fluent in Mandarin, Hindi, and Bengali. She earned a BA in Economics and Chinese from Vassar College. Matthew Waterson is the Director of Operations and Financial Compliance. In this role, he supports operational efforts in developing, codifying, and assessing the processes that empower the organization to maintain a level of excellence as it serves its overall mission. Matthew is responsible for the fluid monitoring of stakeholders, organizational risk analysis and mitigation, and the development and implementation of security protocols that best protect the Foundation’s assets and interests. Prior to joining the Foundation, Matthew served 13 years of active duty service as a US Navy SEAL, deploying four times in support of the Global War on Terrorism. His service included combat tours in support of Operation Enduring Freedom, and operations in support of US Pacific and Central Commands. Matthew also led a department at Naval Special Warfare Basic Training Command, where he assessed nearly 1,000 students during their successful completion of Basic Underwater Demolition/SEAL training. He proudly continues his service as a Naval Reservist, leading a troop of SEAL reservists who maintain operational readiness to supplement forces around the globe. Matthew has received numerous service awards and decorations, including a Combat Action Ribbon, three Navy and Marine Corps Achievement Medals, a Joint Service Achievement Medal, two Navy and Marine Corps Commendation Medals, a Bronze Star, and a Legion of Merit. Matthew is based in San Diego, California. He earned a Master of Public Administration from the University of Southern California in Los Angeles and a bachelor’s degree in Political Science from San Diego State University.